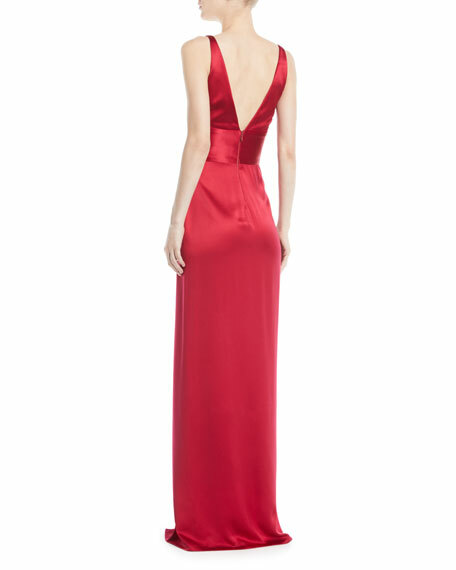 Naeem Khan evening gown in silk duchess satin. For in-store inquiries, use sku #2621377. Attico crepe dress with beaded embellishments. 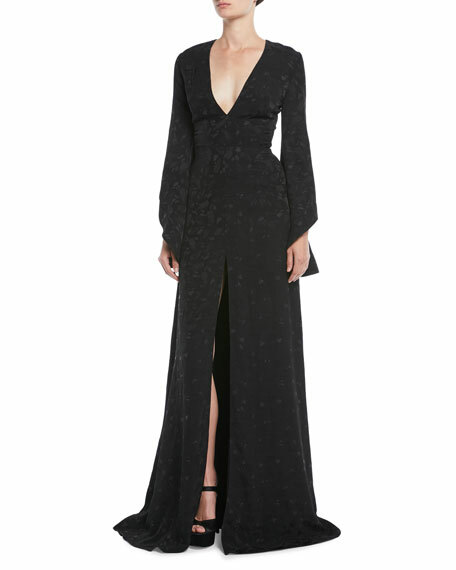 Plunging neckline; button-loop detail. Long, blouson sleeves. Nips in at waist. A-line silhouette. Ankle-length. Viscose/silk. Imported of Italian materials. 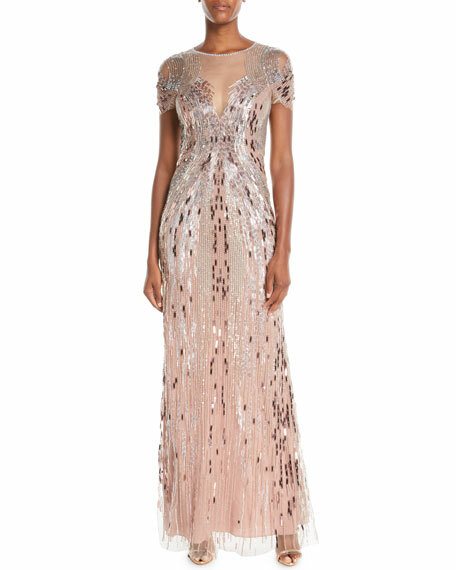 Jenny Packham evening gown in beaded tulle. Jewel neckline with plunging illusion. Short sleeves. A-line silhouette. Hidden back zip. Back hem slit. Polyester. Lining, silk/spandex. Imported of Italian materials.